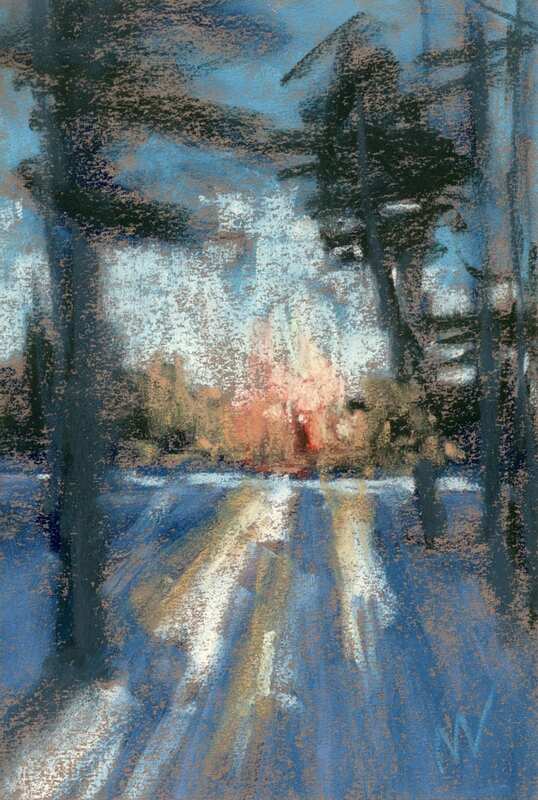 Untitled Lake, 5×7″ pastel on sanded paper by Marie Marfia. $90. 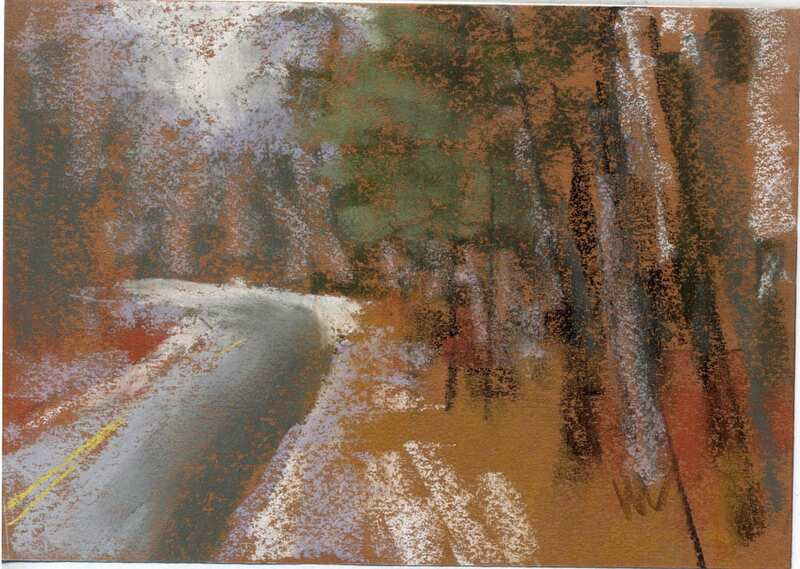 This is a painting from a little lake that Steve and I circumnavigated on Saturday. It was one of the many bright spots in a four hour span spent wandering around the Manistee National Forest, not looking for mushrooms. As much as I am grateful for more people wandering around out in the woods, sometimes I just want to be out there alone, you know? Saturday we decided not to join the throngs of morel mushroom seekers and just go someplace quiet. This little lake, or pond, really, fit the bill nicely. We brought out the binoculars and watched some turtles sunning themselves on a little hummock out in the middle of the water. The sky was deep blue and reflecting off the surface of the lake. We listened to the birds. Then we walked all the way around it, finding a hollow beech tree off the path with a mound of pretty fresh porcupine poop all on one side. The dogs were very interested. 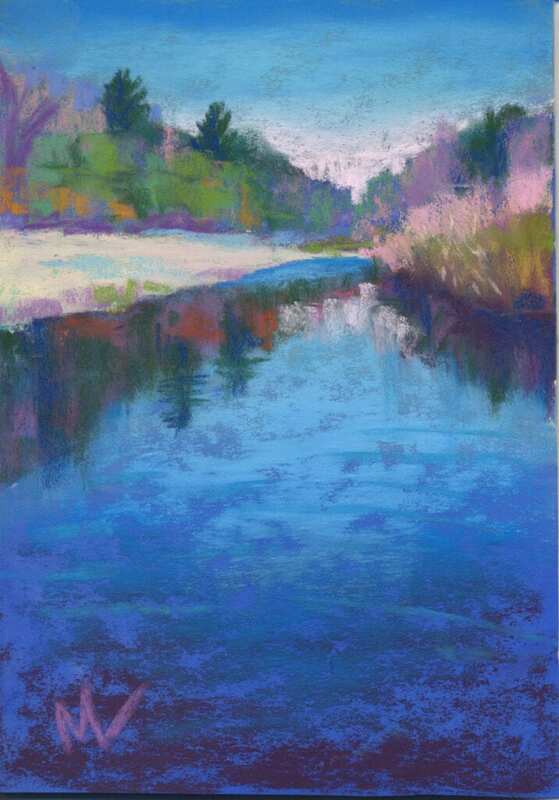 This entry was posted in A pastel a day, Landscape, painting a day, Pastels and tagged blue, daily, lake, painting, pastel, pond, reflections, water, woods on April 24, 2017 by Marie Marfia.